Molly Gunn (BRITTANY MURPHY) is a poor little rich girl forced to do the unimaginable, work for a living after her accountant absconds with her inheritance. Becoming the nanny for the precocious and wise beyond her years, eight-year-old Ray Schleine (DAKOTA JOHNSON) starts off bad and gets worse. But Molly, seeing herself in Ray seeks to bond with her young charge not as her employee, but as her friend. For an Olive Films release, it’s nice that they were able to port over the features from the MGM DVD release. The Lowdown on Uptown (13:17; SD) is your standard behind-the-scenes featurette with interviews by members of the cast and crew discussing the plot and characters. Rockin’ Style (8:15; SD) delves into the costume design for the film. Deleted Scenes (13:53; SD) – There are a handful of scenes cut down or removed, no doubt probably due to pacing issues. Olive Films releases Uptown Girls onto Blu-ray presented in its original 1.85 widescreen aspect ratio and given a 1080p high-definition transfer. The picture quality is, at best, above average. This isn’t the prettiest looking transfer I’ve come across and at times downright looks dirty. There are many instances of dust marks and specs throughout and colors don’t exactly look brilliant or bright. Still, it’s probably a hair better than its DVD counterpart. The DTS-HD Master Audio 2.0 track isn’t anything special but is the epitome of getting the job done. The bulk of this movie is either comprised of dialogue, which comprises the center channel with decent clarity, to some choice music on its soundtrack providing for OK depth. 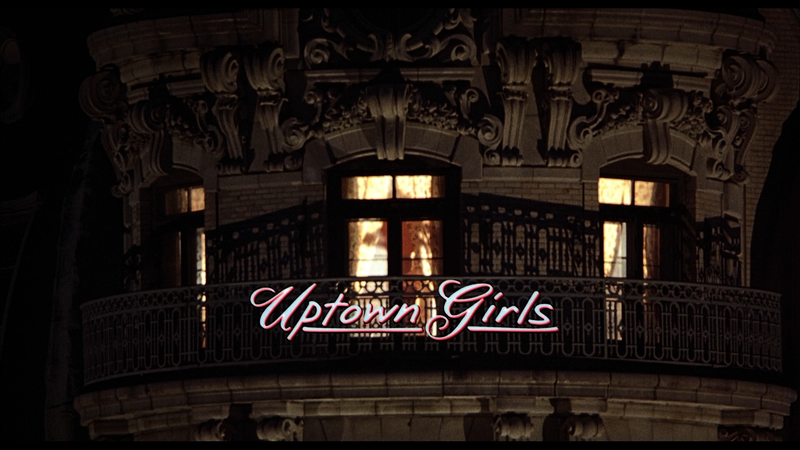 Overall, Uptown Girls is a breezy but nice little comedy featuring pleasant performances by Brittany Murphy and Dakota Fanning to go along with an interesting enough plot. The Blu-ray released through Olive Films has some actual features to go along with the so-so video and audio transfers.